Below, we shed light on how to enable Magento 2 SOAP API import. Unfortunately, this functionality is not possible by default, but you can add the missing feature to your e-commerce store with the help of a third-party extension. The following article sheds light on SOAP, compares it with REST, and offers a reliable tool for enabling the corresponding functionality for Magento 2. SOAP provides web apps with the ability to communicate over the Internet over HTTP, which is supported by all Internet browsers and servers. Applications can run on different operating systems, with different technologies and programming languages. SOAP stands for Simple Object Access Protocol. Being an XML-based messaging protocol for exchanging structured information, it is characterized by extensibility, neutrality, and independence. It relies on such application layer protocols as HTTP and SMTP for message negotiation and transmission but at the same time is not tied to any particular transport protocols, operating systems, or programming languages. Thus, SOAP is an essential building block for developing distributed apps that exploit functionality published as services over the internet. And, as you might have already guessed, it introduces extended capabilities when it comes to data transfers between Magento 2 and external systems. The only requirement is the necessity to formulate and understand SOAP messages. Below, we shed light on these and other features of the Magento 2 SOAP API connector provided with the Improved Import & export extension. To make Magento 2 SOAP API import more user-friendly, the connector introduces two essential features: schedules and mapping. Both are designed to synchronize your e-commerce store with external systems and make data exchange fully automated. The Improved Import & Export extension supports cron allowing you to create any custom schedule of updates. You only need to learn the default cron syntax if you didn’t do that before. The module lets you create any custom interval to start Magento 2 SOAP API import when necessary in a fully automated manner. At the same time, you can launch every update asynchronously in a manual mode. Another vital improvement introduced with the Improved Import & Export Magento 2 extension is its mapping interface. It’s not a secret that you cannot transfer data from one system to another without modifying it. The problem is caused by different attribute standards used by external platforms. It is even impossible to move information from Magento 1.x to 2.x without editing. Luckily, the Magento 2 SOAP API connector provides a user-friendly way to make any external output suitable for the default requirements of your e-commerce store. Unfortunately, we cannot provide mapping presets that cover all integrations. Therefore, contact our support regarding mapping schemes for your particular business case. Since we are talking about the features of the Improved Import & Export extension, we’d like to draw your attention to some more useful characteristics of our module that are not used in the Magento 2 SOAP API connector but can be suitable for your business needs. The Improved Import & Export Magento 2 extension works with numerous file formats. In addition to default CSV, it also works with XML, which is widely used by many external systems. To make connectivity opportunities even more flexible and powerful, we’ve also added JSON support. Besides, the module uses XLS and XLSX for various internal purposes. As for CSV, XML, and JSON, you can effortlessly import/export data in these formats. URP. Data file import is possible via a direct URL. Note that in the case of import processes, the extension unzips/untars all compressed data automatically. Now, when you know critical aspects of the Magento 2 SOAP API import and are familiar with the features of the connector, let’s focus on several essential SOAP API characteristics. The envelope part defines the structure of a message and the way to process it. Next, the set of encoding rules express instances of application-defined data types. The convention part is used for representing procedure calls and responses. Specialists highlight three significant characteristics of SOAP. First of all, it is extensibility: the standard is extremely flexible and can be used for satisfying even the most complicated business cases. Next, it is neutrality: as mentioned above, SOAP can operate over any protocol. The third key feature of SOAP is independence: you can fully leverage the standard for any programming model. Imagine, there is an application that sends a SOAP request to a server with enabled web services. The request includes the parameters for a search. The server returns a SOAP response with the required data in the form of an XML-formatted document. The requesting application can integrate the returned data directly. That is a general model for all requests. We describe the process in more details in the corresponding section below. It is also necessary to mention that the SOAP architecture consists of several layers of specifications. Each layer is utilized for a specific purpose. First of all, there is a specification for a message format. Next, SOAP includes a layer for Message Exchange Patterns. Underlying transport protocol bindings and message processing models are also linked to corresponding layers. And there is a protocol extensibility layer. Now, let’s explore a more complex example to get a better degree of what SOAP is. Envelope. This element identifies the XML document as a SOAP message. Header. The role of this element is to contain header information. Body. This one is developed to contain call and response information. Fault. Errors and status information are gathered here. use the SOAP Encoding namespace. What is the SOAP developer’s approach to such a problem, you will ask? It may be narrowed down to the encapsulation of the database request logic for the service in a method. Next, it sets up a process that listens for requests (in SOAP format with the service name and any required parameters) to the service. As you already know, the transport layer might be HTTP, SMTP, or anything else. 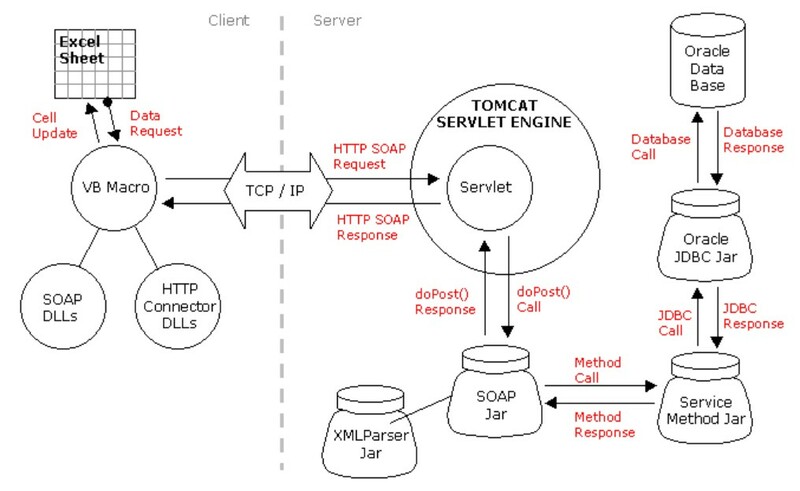 The listener process is a Java Servlet within the Tomcat Servlet Engine. is listening for those messages as an HTTP POST. The transport is HTTP over TCP/IP. The client is an Excel spreadsheet with a VB Macro to utilize the Microsoft SOAP Toolkit for encoding a SOAP request and decoding the response received. If you are an e-commerce merchant, it should look like a mess. Luckily, there is the Improved Import & Export Extension that implements all the necessary mechanisms to establish the direct connection between your website and the external system. You only need to install the module and specify several parameters required by the integration. The necessity to master all technical aspects of the Magento 2 SOAP import is eliminated. Since we’ve already written about the Magento 2 REST API import, it is necessary to say a few words about the difference between both processes. First of all, you should understand that SOAP and REST can’t be compared directly. The first is a protocol while the second is an architectural style. But it doesn’t mean that we cannot find any differences. SOAP and REST has a different degree of coupling between client and server implementations. If we are talking about a SOAP client, it works as a custom desktop application. The app in its turn is tightly coupled to the server with all the consequences. Due to an inflexible contract between the client and the server, the connection crashes if either side changes anything. As for the REST client, it acts more like a browser. The generic client knows how to use a protocol and standardized methods so that an application has to fit inside that. By creating extra methods, you don’t violate the protocol standards. Instead, you leverage the standard methods of forming actions with them on your media type. As a result, REST helps to reduce coupling and leads to the situation when changes are dealt more gracefully. Besides, a client enters a REST service with the zero knowledge of the API, except for the entry point and the media type. In the case of SOAP, the client needs to know everything it will be using. Otherwise, the interaction won’t begin. For further information, check the following links that describe various aspects of SOAP. XML Soap – core requirements to SOAP and its elements explained. The connector helps to save time necessary for the implementation and maintenance of the data flow.